My toddler son loves to dig around in the yard, so I decided to put him to work a few weeks ago when I needed to weed our landscape beds after a winter of neglect. After watching me dig up a few weeds in our raised beds, he grabbed his little metal shovel and began copying me. 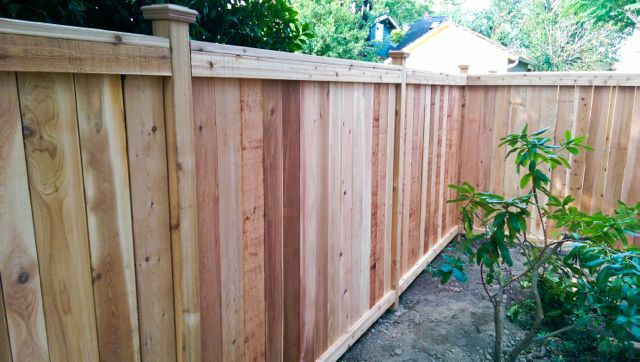 He put the shovel into the ground, pushed it down with his feet, and then hauled up a few weeds — which he promptly dumped, along with a scoopful of good dirt, into the gravel walkway. Oh, well. At least he was having fun digging. I gave him an empty bucket, and he spent the next 20 minutes filling it with compost. There are different ways, large and small, to get your toddler or older kids interested in gardening or being outside. Toddlers love to imitate, so you don’t have to have a planned activity to get them excited about gardening. If you pull weeds, ask them to help you put them in the yard waste bin. Find worms together, and show your kids how to handle the insects gently. Look for birds in your trees. 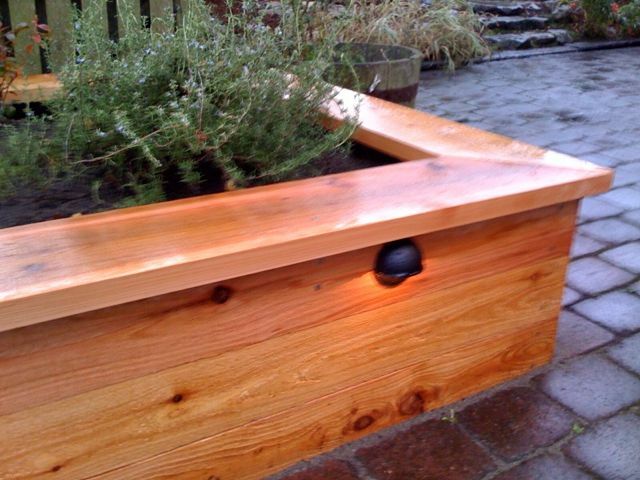 Smell different plants in your garden. Visit children’s gardens and let your kids explore. 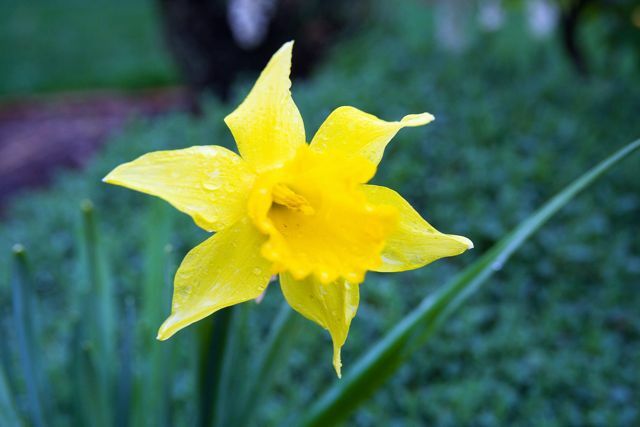 The Bradner Gardens Park, Magnuson Children’s Garden, and Good Shepherd Children’s Garden are some of our favorites. Sign up for a children’s gardening class, if your school doesn’t already offer gardening in the classroom. Seattle Tilth has a 2012 Summer Garden Camp for kids 1-14 in Rainier Beach and North Seattle neighborhoods. One day sessions for young tots including “Don’t Squish that Bug” and “Wiggle, Squiggle, Giggle.” Other classes teach about ladybugs, let your toddlers plant seeds, and explore other creatures. Keep your kids safe. Supervise young ones when they’re using tools or planting seeds that could be potential choking hazards. Keep fertilizers out of their reach. Avoid using pesticides! If you’re concerned that your soil may have lead or arsenic, get it tested; King County explains how you can do that. Get your kids good-quality tools that fit small hands, rather than having them wrestle with adult-sized tools. Practice safe handling of those tools, and teach them how to put tools away. 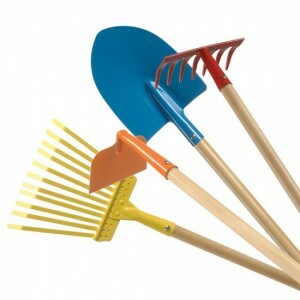 My son has a blue metal shovel, a yellow hoe, and a bamboo shrub rake. Each cost between $5 and $10. We bought all three at the West Seattle Junction True Value Hardware store; check your local hardware store. (You can also order it online at Small Hands). 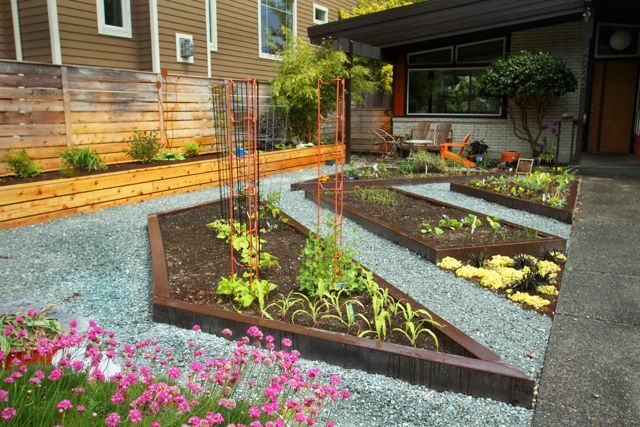 Plant a garden, but keep it simple. Pick a few vegetables that are easy to grow, that grow fast, and are visually cool. Sugar snap peas or snow peas come to mind; the seeds are easy to handle for small hands. Radishes and lettuce also are great for the impatient toddler. Plant root vegetables that are fun to dig up, such as potatoes. Plant weird stuff, like purple carrots. Later in the summer, let toddlers help you harvest tomatoes, carrots and snap peas, or pick raspberries and huckleberries (though teach your kids to only eat foods after asking for permission). Get a small watering can or spray bottle, and let them water your plants. 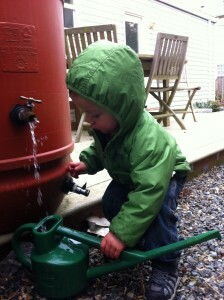 My son likes to fill up the watering can at the rain barrel, and water our potted plants. Grow seeds indoors. Kidsgardening.org has some great articles that caregivers can do with their young ones, including planting a windowsill herb garden, gardening with creative containers, or garbage-can gardening. Read books about gardens and bugs. 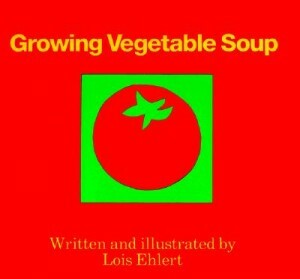 The National Gardening Association came up with this list of gardening books to read with your toddler: Growing Vegetable Soup by Lois Ehlert; Pumpkin Pumpkin by Jeanne Titherington; Tops and Bottoms by Janet Stevens; This is the Sunflower by Lola M. Schaefer; Whose Garden Is It? by Mary Ann Hoberman; The Carrot Seed by Ruth Krauss; The Tiny Seed by Eric Carle; Oliver’s Vegetables by Vivian French; Stone Soup by Marcia Brown; Alison’s Zinnia by Anita Lobel. Visit farmers markets throughout the year and talk to your kids about what’s fresh at the market and growing in gardens. Visit farms where toddlers can pick their own strawberries, blueberries, pumpkins, and so on. Check out this National Wildlife Federation guide for other helpful tips. Find more lessons or activities at the KidsGardening website.